This endearing, banjo-picking garden gnome will have you grinnin' like a possum eatin' a sweet tater. 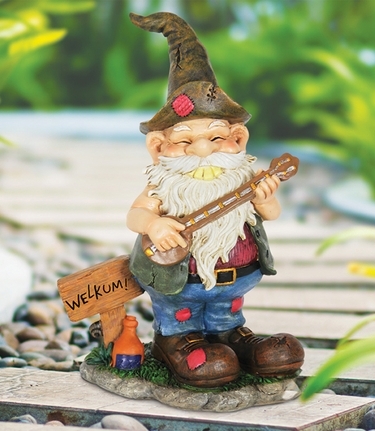 Greeting you and your guests with a redneck "Welkum" sign, this gnome is guaranteed to make you laugh. Dern tootin! Size: 8.75" x 5" x 11.5"H.